The Clubman was launched in 2007 as the first truly practical MINI but came with one key drawback: you couldn't have two rear passenger doors. This second generation model not only corrects that oversight but is also smarter, better equipped, higher-tech and more efficient, plus there's the option of four driven wheels. 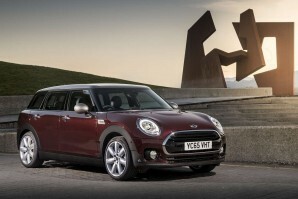 But it joins a range that, in the Hatch 5-Door and Countryman models, already boasts similar design of this type. Can it stand out?